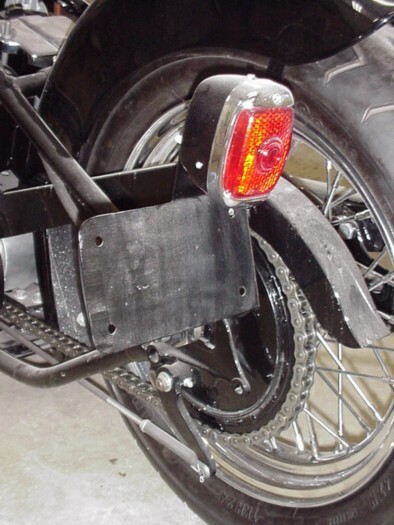 License Plate Bracket we manufacture. 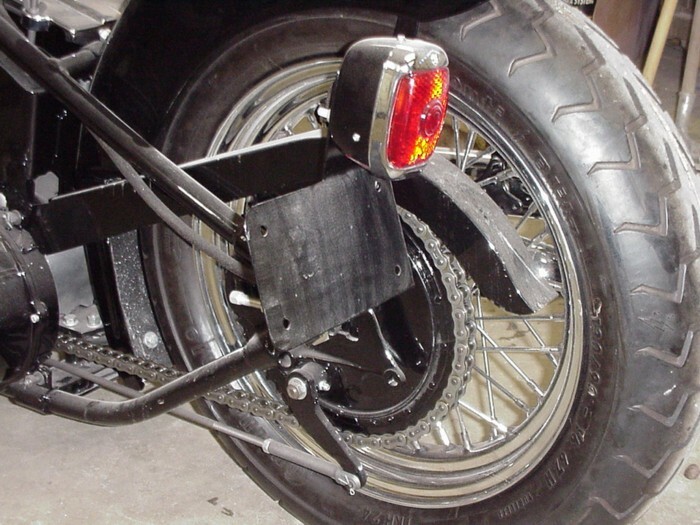 The light is a 49 Chevy Pickup, it also accepts a Model A Ford taillight. 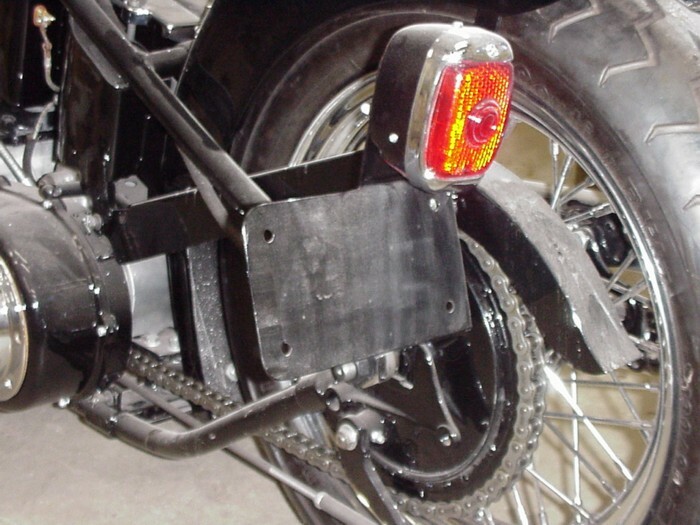 1948 U custom License Plate Bracket. 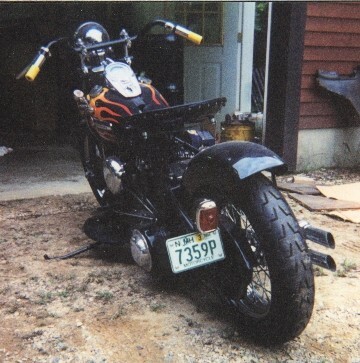 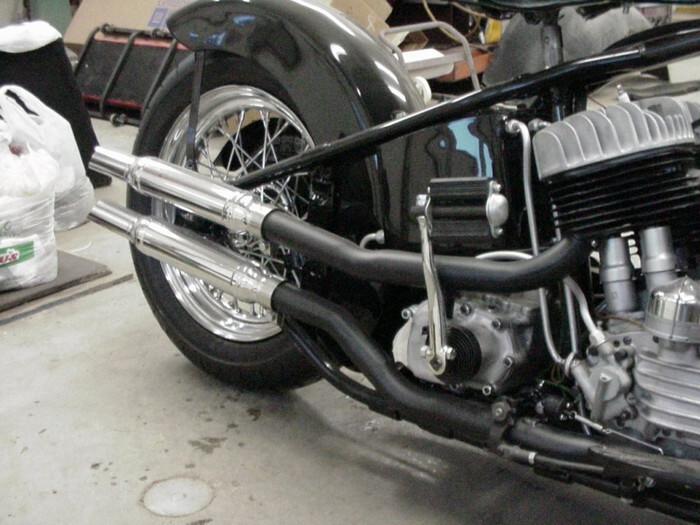 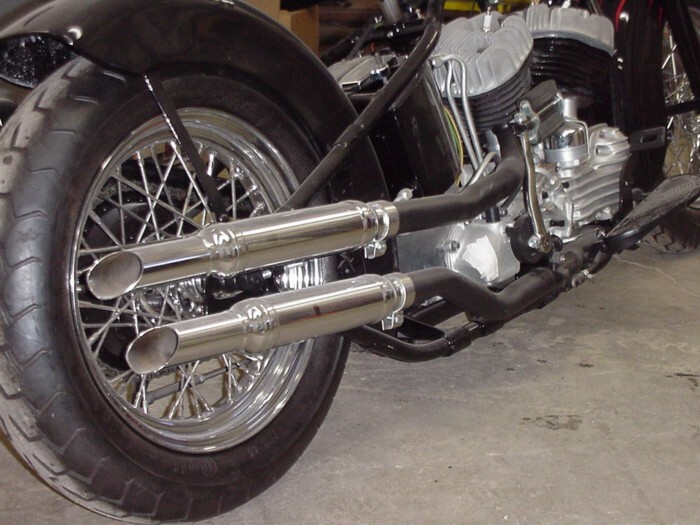 1948 U Bobbed Knuckle custom dual exhaust.